Home » Books & Comics » What Happens When You Cross Charlie Brooker With Bret Easton-Ellis? What Happens When You Cross Charlie Brooker With Bret Easton-Ellis? 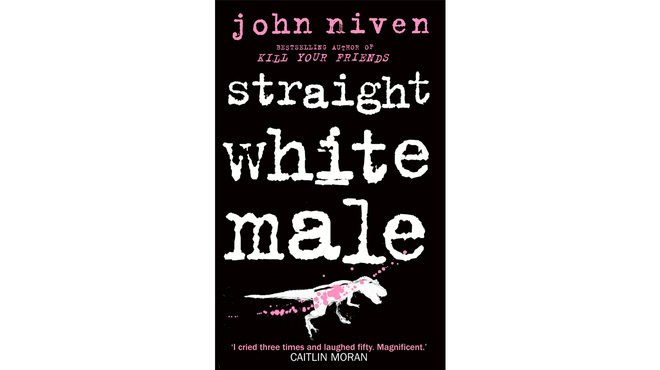 I’ve just finished Straight White Male, the latest by John Niven, author of several of my favourite books of recent years, including the incredible Kill Your Friends, which was first gifted to me as a birthday present and I’ve since bought at least three times for friends. The best way I can describe Niven is something of a cross between Bret Easton-Ellis at his most raging and Charlie Brooker (or indeed Peter Capaldi/Malcolm Tucker) at his most creatively sweary. I started reading Kill Your Friends whilst travelling for work and, sitting quietly in some hotel restaurant in Budapest, found myself giggling ever more loudly, throughout the first chapter – from which point I think I shot through it in a matter of hours. Straight White Male isn’t, in my opinion, quite up to that standard (neither are the other two I’ve read: The Second Coming nor The Amateurs – although both are good books), but it nevertheless comprises many lines that remind me of why I love to read. All quotable, none printable – well, not here, at least. I’m not going to review it (see here for Time Out’s opinion), but I will say that it shocked me with a sudden pace as it moved into the third act, away from his trademark black comedy laced with high-calibre profanity and into a genuinely touching character sequence that ends in despair. I wouldn’t even say I enjoyed the last quarter – the stream of literary quotes, from the protagonist, himself a writer, got a bit out of hand – but it’s undoubtedly an unforeseen change of pace and brilliantly done. So, if you haven’t, pick up Kill Your Friends at your earliest. And, if you like him, Straight White Mail is well worth a go.